12inch Printed Paper Doily have good performance of disposable, recyclable, enviromental and best price. The kraft paper doily can be designed a variety of beautiful lace according to clients' requirement. 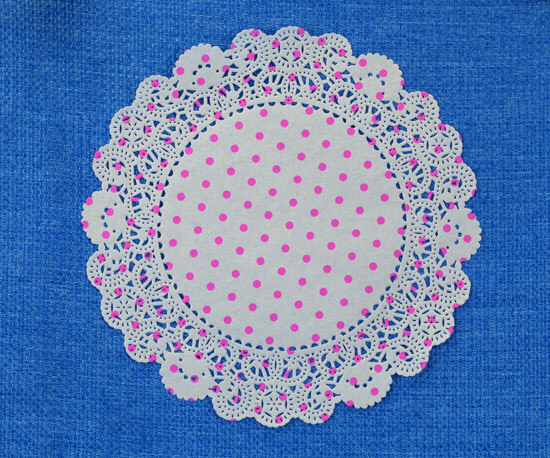 The Paper Doilies are practical, decorating your tableware and absorbing any extra moisture or oil to keep cleaning. Modes of packing: 250pcs round paper doily 12inch printed, packed with shrink bag. The products with high quality and best price, and make the customer satisfied after sales service. Looking for ideal 12inch Printed Paper Doily Manufacturer & supplier ? We have a wide selection at great prices to help you get creative. All the White Paper Doily Printing 7.5inch are quality guaranteed. We are China Origin Factory of Heart Paper doilies. If you have any question, please feel free to contact us.